Yuske Hirota was born in Tokyo and grew up skiing in Hakuba, Japan. Since he took the Yamnuska mountaineering semester in 1998 in Canmore, Canada, he has been in Alaska, Peru, Patagonia, New Zealand, Nepal and Canada for photo shooting and backcountry snowboarding. In 2012 he became a first Japanese who passed Association of Canadian Mountain Guides's ski guiding course on a Snowboard. 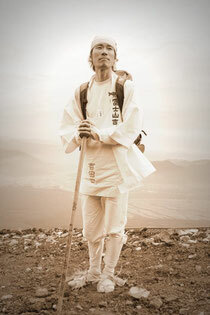 He has been guiding in Japan: Hakuba Nagano, Mt. Fuji, New Zealand and Canada over the past 15 years. In green seasons he has been working as a outdoor photographer based in Tokyo. His clients are CASIO, GORE-TEX, Canon, Patagonia, Houdini, The north face, Caravan, Full marks, A&F and Mont-bell. For guiding inquiry, click here to go to Tao of Pow.